Picked this cool new mixtape up at City Gear in the Wolfchase Galleria the other day, and it is really good. I had not heard of D-Cinn, but he is a young up-and-coming rapper from the Whitehaven neighborhood of Memphis. 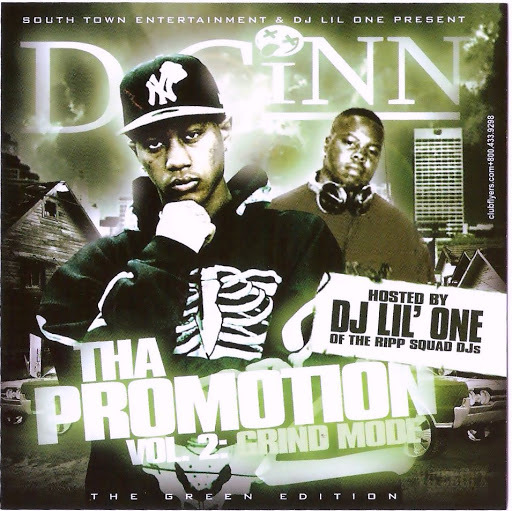 While some tracks like “Club Crunk” exude an atmosphere of traditional Memphis buck-jumping, others like “We Ain’t Cool” show off D-Cinn’s considerable lyrical skills. Incredibly, this mixtape is available for free at all local City Gear stores.